PLYMOUTH Diving’s Victoria Vincent has enjoyed a fantastic start to the European Junior Championships in Helsinki. The 17-year-old has won two medals on the opening two days of competition. She opened the championships with a bronze medal in the mixed team event alongside Lucas Thomson, Ben Cutmore and Anthony Harding. In that event, Vincent dived alongside Thomson in the one-metre and three-metre mixed synchro. 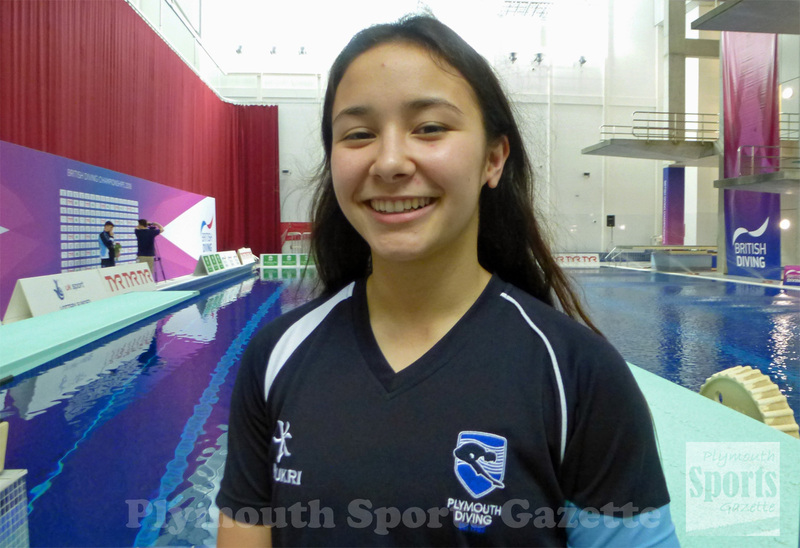 The Plymouth College pupil then followed that up by winning a silver medal in the girls’ three-metre synchro event alongside Great Britain team-mate Maria Papworth. The pair dived consistently all the way through the competition to score 255.90 points. They were only beaten by Russia favourites Uliana Kliueva and Vitaliia Koroleva. The bronze medal went to host country Finland. Vincent still has one more event to go at the championships. She will take part in the individual one-metre event on Friday. Fellow Plymouth diver Aidan Heslop is also in the Great Britain team. His first event will be the boys’ platform synchro on Thursday. Our Junior Divers have picked up a bronze on day one of the European Junior Diving Championships.